Creation of Hope Visit to Kettle Lakes P.S. On October 7, Kettle Lakes P.S. 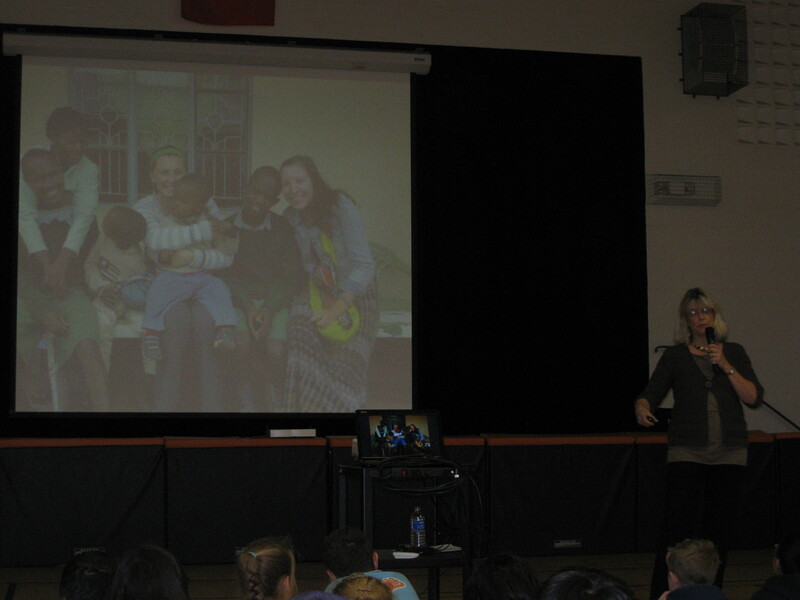 received a visit from Anita Walters, wife of renowned Canadian author Eric Walters, who spoke about Creation of Hope. 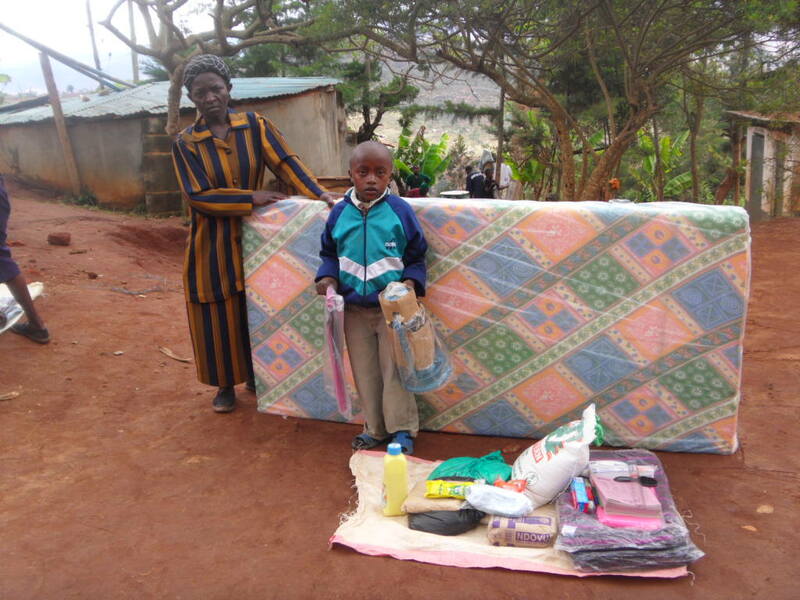 This charity, created and run by the Walters’ family, provides outreach support to over 400 children who live in the rural village of Kikima, Kenya. Mrs.
Walters explained how small amounts of money can go a long way in providing school supplies, blankets and clothing to children and livestock for families who are in desperate need. Every cent goes towards the children, as there are no overhead costs incurred. The staff and students of Kettle Lakes are looking forward to partnering with Creation of Hope as the focus of their fundraising efforts this year. And here are the results of this visit! It’s with a lot of excitement that I send you this e-mail as an update on the recent fundraising efforts we’ve involved in at Kettle Lakes for the Creation of Hope. After hearing your presentation, we felt that at least for our first fundraiser of the year, it would be best to focus on something tangible that our students could easily relate to. Therefore, last week our school launched a “Chores for Chickens” campaign where students are asking their parents to sponsor them the price of a chicken ($8, as stated on your website) for doing simple chores around the house. Our students have been washing dishes, vacuuming floors, raking leaves, setting tables, etc., and donating the $8 that they earn to help purchase chickens for the families in Kikima! To launch this campaign, our team of Character Council student leaders were trained to teach a short lesson to each class in the school. Their lesson focused on the idea of empathy and how we can help others. They discussed why it’s important for us to help the kids in Kikima, explained the fundraising campaign, and even sang a “Chores for Chickens” song (attached!) to get classes excited! Each student was provided a paper print-out of a chicken to colour and return to school with their name and the chore that they did to earn the $8. 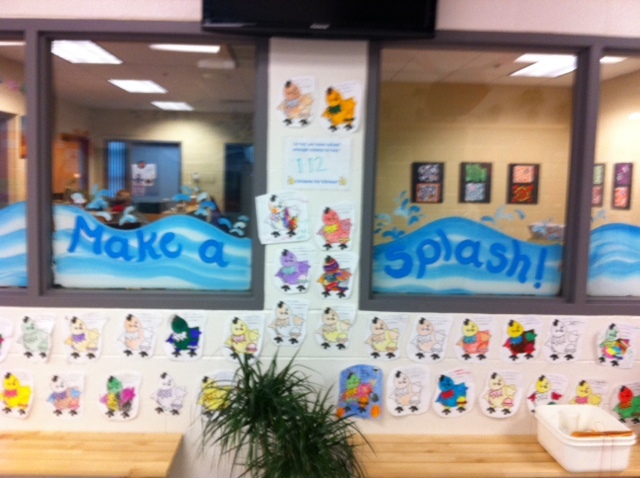 These chicken print-outs are proudly displayed in our front foyer for all to see and celebrate! 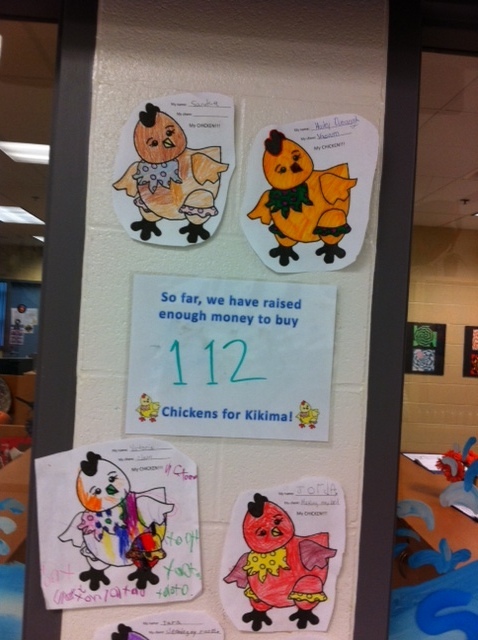 I am very pleased to inform you that in less than a week, our Kettle Lakes has raised nearly $900 (equivalent to 112 chickens) for Creation of Hope!!! It’s been wonderful to see the enthusiasm that our students have shown so far. Some staff members have even encouraged their own personal children to participate! With another week and a half left in our “Chores for Chickens” campaign, we’re looking forward to seeing how much more we can raise for this wonderful cause! We look forward to keeping in touch with you, and will keep you posted on “Chores for Chickens” at Kettle Lakes! I trust you are well? We have just finished distributing wishlist items to 10 kids, four of them the ones that your school provided for. I have attached pictures of the kids with some of their wishlist items. I trust you are well? 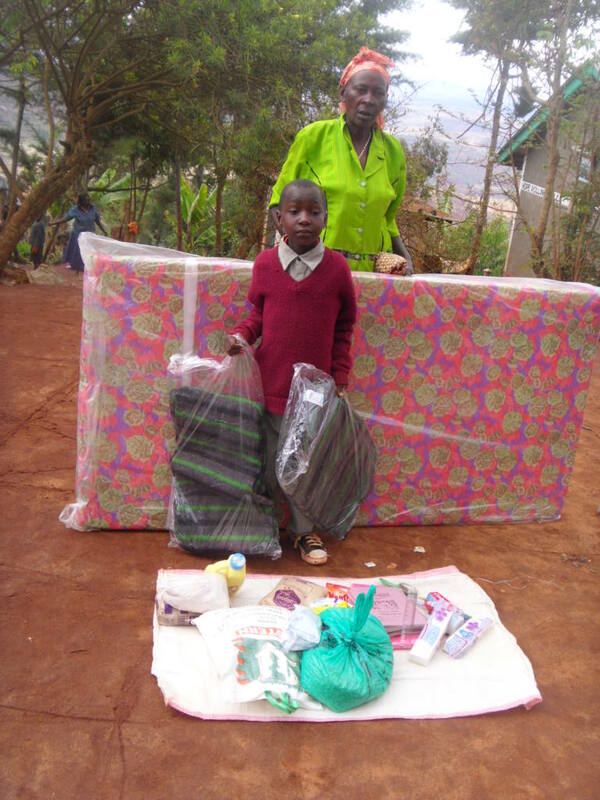 We have just finished distributing wishlist items to 9 kids, 6 of them the ones that you provided for. I have attached pictures of the kids with some of their wishlist items. They were measured for uniforms and will collect those on 29th of this month, together with their new clothes, shoes, beds and textbooks for those who asked for them. I looked like I had wiped out a shop or two! You should have seen how packed the back was and in the passenger seat! Thanks again for everything you do for these kids! Our program is a true partnership between Kenya and Canada. It involves not only the decisions being made and the actions taking place but the actual funding – many of our sponsors, and a percentage of our funding coming from Kenyan sources. We are also highly supported by the local church community. 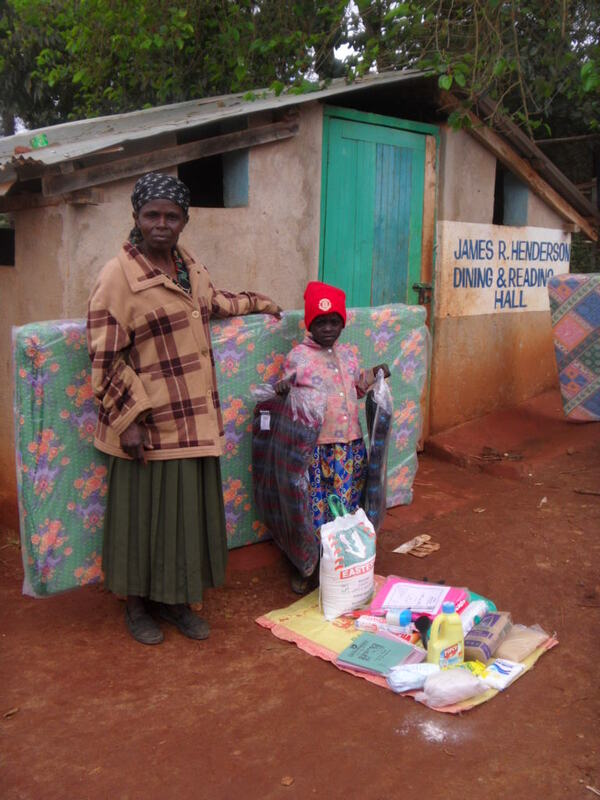 Three times per year the 109 churches in the Mbooni District take a special collection for The Creation of Hope. Below is a letter from Ruth outlining this last offering for our organization. 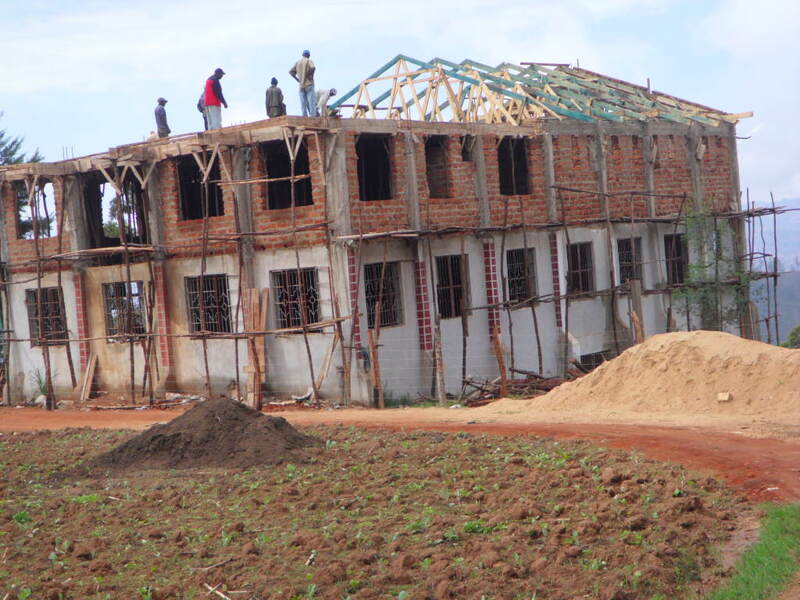 The regional churches made their regular contribution this October and raised Ksh. 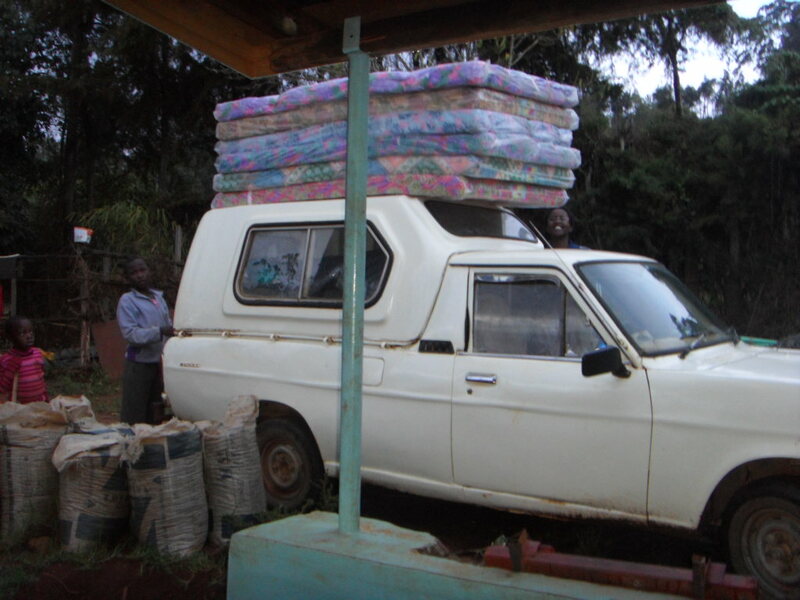 160,047 that was used to buy the iron sheets and nails. 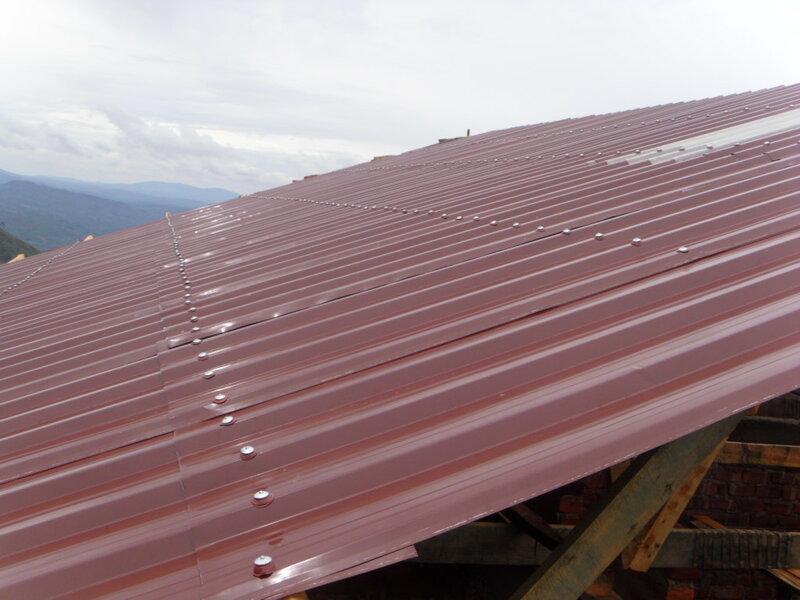 The roofing will begin within two days. It is great to see the community support. This year alone, the regional churches have contributed a total of Ksh. 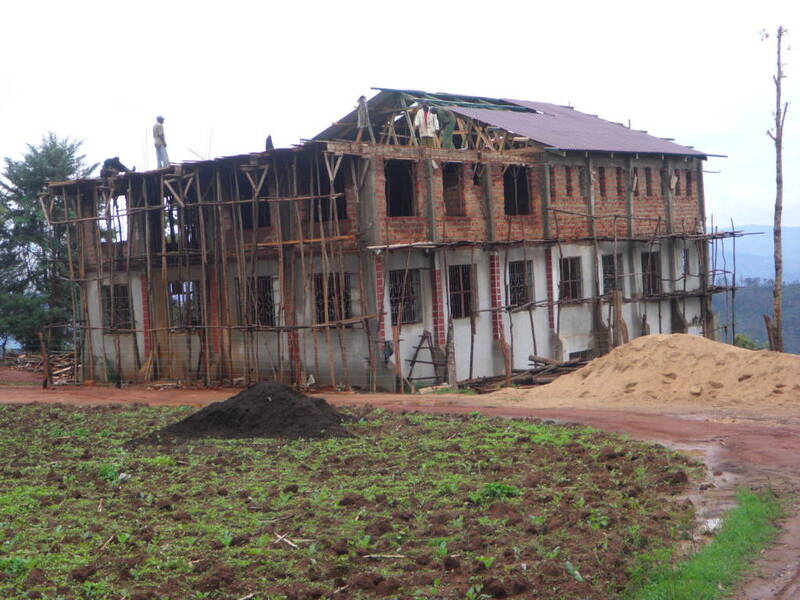 473,307 (contributions were held in February, June and October) which has all gone into the building. It is such a blessing to have such service in the midst of drought – as this whole year was dry with little income for most. Please keep praying that this support spreads further and the rains continue to fall, as that is one way of increasing the contributions. To convert those numbers to Canadian figures – they raised almost $1700.00 this collection for a total of almost $5000.00! In the midst of an incredible drought, when individuals are suffering themselves, they still reached into their pockets and donated to help those are even less fortunate. People who have so little but still give are such an inspiration. We want to thank all of our sponsors who have generously made donations for their child to have something special as a present for Christmas by sending an additional $30.00. 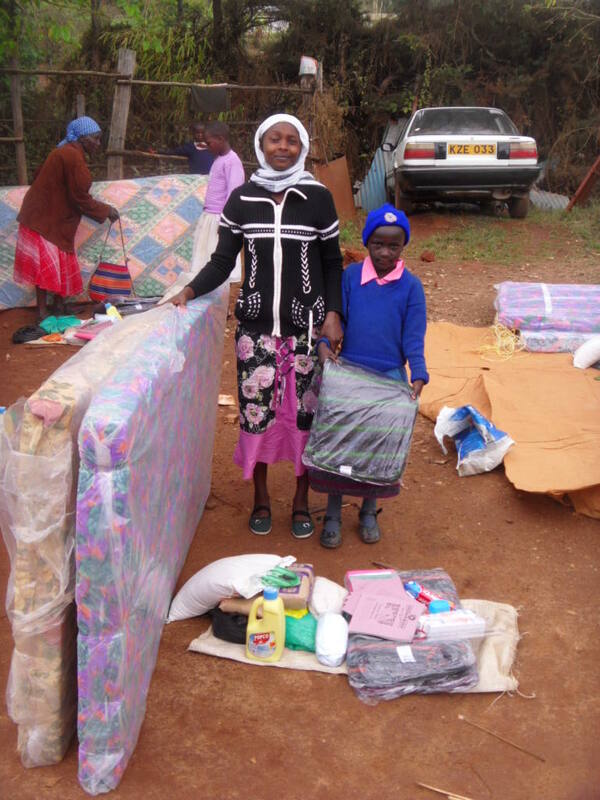 We suggested that sponsors limited their donations as we would not spend more than that amount of their sponsored child. Some sponsors donated more with the understanding that the additional funds would go to another child in the community who was in need. Amongst our first donations we received funding from Channel. She, and her mother, Sophia Attema, just made another donation in honor of Sophia’s birthday. They provided $115.00 to go toward ongoing support of growing crops for the children at the Rolling Hills Residence. While grades 1 – 8 are government-subsidized to make it easier to send children to school in Kenya, there are tuition costs for high school. Last year (January – December 2010) we had 3 students in high school. At the beginning of 2011, 9 students joined high school but one dropped out. Next year, January-December 2012, we expect all the 7 students writing their exams this year to join high school depending on their exam results. This is a total of 18 students including children who are not presently sponsored but have been offered support due to their dire circumstances and their great potential. Our predicted cost of high school fees for the coming school year for these 18 students is approximately $4,500 (about Ksh. 393,000). We expect to provide this amount from both a dedicated scholarship – The Andrew Curling Scholarship – as well as funds from our regular sources. The fees vary according to the level of school that they attend. District and Provincial schools are much less expensive than national, but in general all are less than $500 per year. For the second year in a row, Kelly and Chris Betts have hosted a Halloween Party to raise funds to be donated to the Andrew Curling Scholarship. This year they raised over $800.00! In addition some of our sponsors have decided to make contributions to pay for either part or the entire high school tuition for their child. As always, over 200 orphans and their extended family members attended a food distribution at The Rolling Hills Residence. This includes not just the sponsored children who continue to reside with their extended families but the extended family members of children who reside in the children’s residence. This is always a day of celebration and those families – some of whom have a round trip of up to 30 kilometers – are given transportation, food, wish lists are distributed, as well as goats and tools and beds given out. The new Rolling Hills Residence continues to rise. 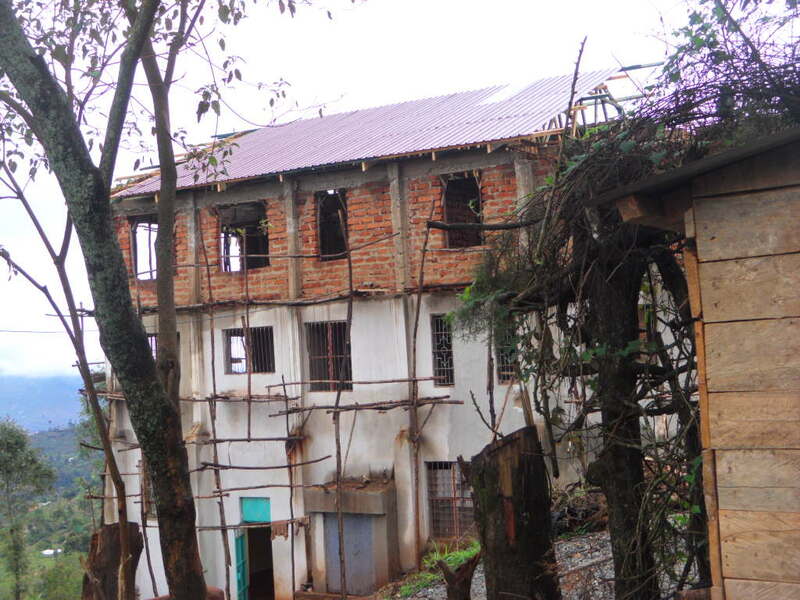 As the top floor – the new girls’ residence – is being completed the lower levels are already in use with the boys living on the two lower levels and the kitchen and dining all being used. Here are the latest pictures. 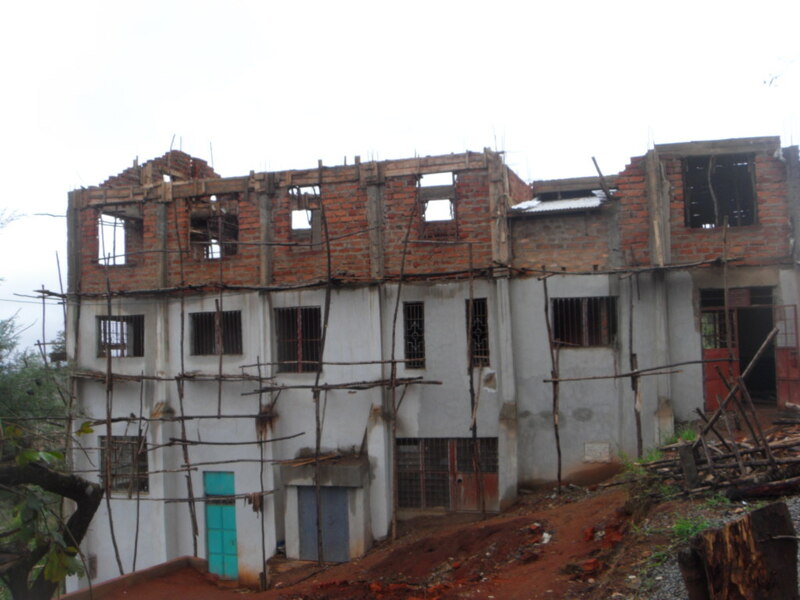 Our hope is that it will be completed in the first two months of the new year when additional funding is raised.